MobileTracker goes beyond Website Analytics. Not only it provides essential webmaster Web Analytics tools, it allows webmasters to interact with their website visitors and control their access to pages, documents and URLs. 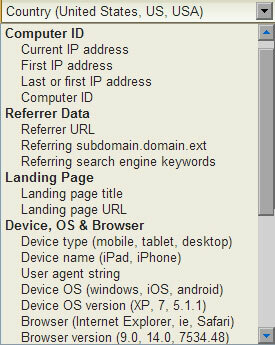 Based on the multitude of website visitor information, a webmaster can create custom Mobile Tracker rules to redirect visitors, control access to specific website pages, show popup or transitional messages to visitors or ban specific visitors altogether and disallow them to gain access to an entire website. Visitor Redirecting and Control can be used not only to serve specific content to target audience, but to protect website forms from being spammed. Another set of Basic Access Rules can be used to serve specific pages during a dedicated timeframe. For example after business closes or during a special time sensitive promotional offer, visitors will be redirected to business off-line or promo pages. Link and Page Trackers. These Mobile Tracker tools are that make the above possible and individually connected to each website project. They allow for tracking individual links and pages on a website. Besides providing detailed page load and visitor tracking information that is associated with a particular URL or a Page, these tools allow for a full control of either all or individual URLs or Pages. A website project can contain a number of Link and Page trackers. Each tracker comes with an individual statistical console similar to a full website statistics interface that provides stats for each tracker unit over an extended period of time. 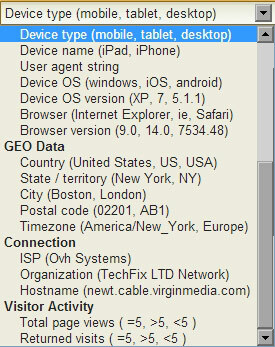 Both Mobile Tracker Link and Page Trackers bear the capability of providing a full control over a website traffic via Advanced Access Rules which can be created to affect and redirect website visitors based on their location, devices they use, computer ID, IP address, referrer information and other variables. Website Visitor Data that can be used to setup Basic and Advanced Visitor Control Rules can be obtained on the visitor's detail page. 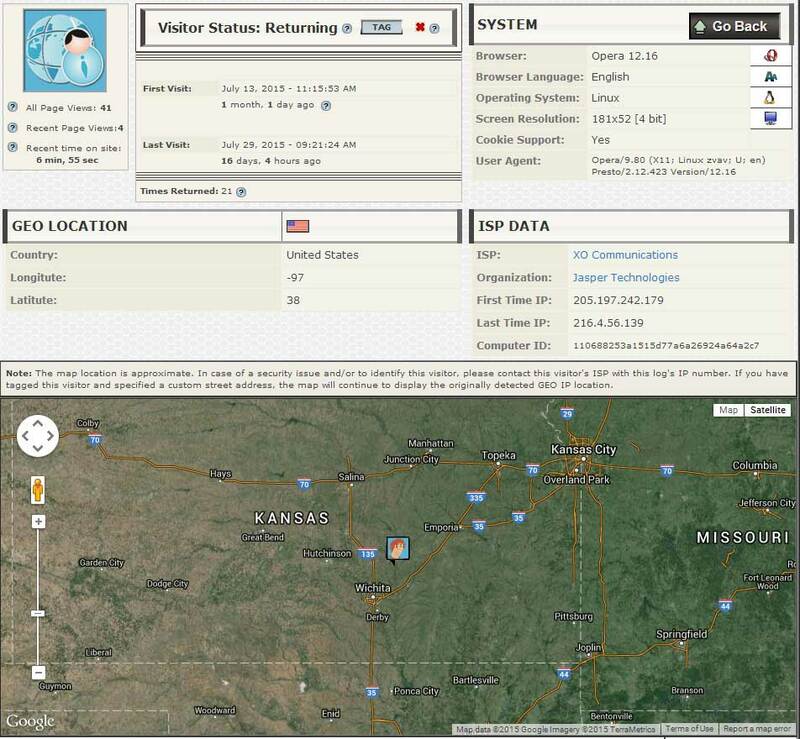 The Link and Page Trackers also provide an action log that displays a status when a Visitor Control Rule is activated. Other Mobile Tracker rule reports include counts for the first time and returning visit clicks, campaign link clicks, IP addresses of all visitors which were allowed or disallowed from accessing web content and GEO locations.